Pacific Palms Village is located 1 block south of the Lake Mead and Nellis intersection. We offer refurbished condominium-sized & spacious 2 bedroom/2 bath units with a sparkling pool, play park and bar-b-ques in a well lighted safe environment. WASHERS AND DRYERS ARE IN EVERY UNIT. Pacific Palms Village is within one block from Burger King, Little Caesar's pizza shop, Dotty's, China a Go-Go, Walgreens, Family Dollar, Aranda's Mexican Food, 7-11, Subway sandwiches and KFC. We are right across the street from the "Hush Puppy" restaurant. The new Urgent Care just opened up across the street from the complex. Its a great place to live. Want to see this move-in ready unit? 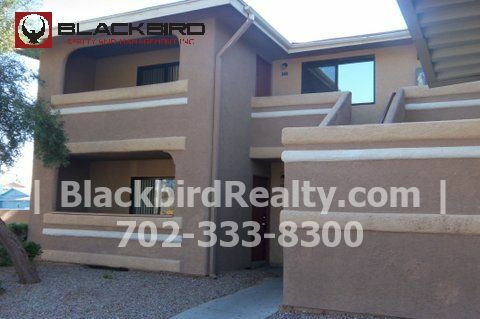 Give us a call at either 702 757-5843 or 702 792-8077 and we'll be happy to show you a unit. *ON THE BUSLINE AT NELLIS BLVD. North on Nellis, past Owens, left on Kell and right into complex.